Hello! Welcome to my User Page, stay as long as you wish, enjoy some of the pictures below, or sign my Guest Book, whatever you want. "The enemy cannot push a button if you disable his hand!" 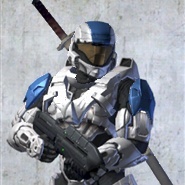 Hi I'm Spartansniper450, I have been on Halopedia since May 2008. I have many friends and allies and I am always willing to accept more. If you have any questions dont hesitate to ask, I will help you as much as I can. The best way to reach me is by leaving me a message on my talk page, I will respond at the best time possible. I am on XBOX Live, if you want to play with/against me, my Gamertag is Snipes450. I like the TV shows Scrubs, 24, Family Guy, Bones, Rescue Me, House, Star Wars: Clone Wars, South Park, Justified, and Pawn Stars(not a typo it's a show about a pawn shop in Vegas on the History Channel). Well, that's my User Page, hope you had fun! Bye now, hope to see around Halopedia.